This Is My Faster! : "Don't slam on the brakes!" My hip is all better!!!! (just in case you were consumed with worry and concern). I was a disciplined runner and did the right amount of icing, stretching, foam rolling, and yoga between yesterday and today. Even though I started feeling better from yesterday evening I try not to take any of my aches and pains for granted. I really think the foam rolling and yoga made a big difference last night, so I did another yoga session this morning and I'm going to do another one before bed (probably with more foam rolling as well). ...but I do get most of the "gently stretch your muscles and engage your core" benefits. I can't do all of these yet and some of them seem downright dangerous (second row, 2nd figure: the headstand...why aren't her arms helping to support her body???). But eventually I will be able to do all most of them. 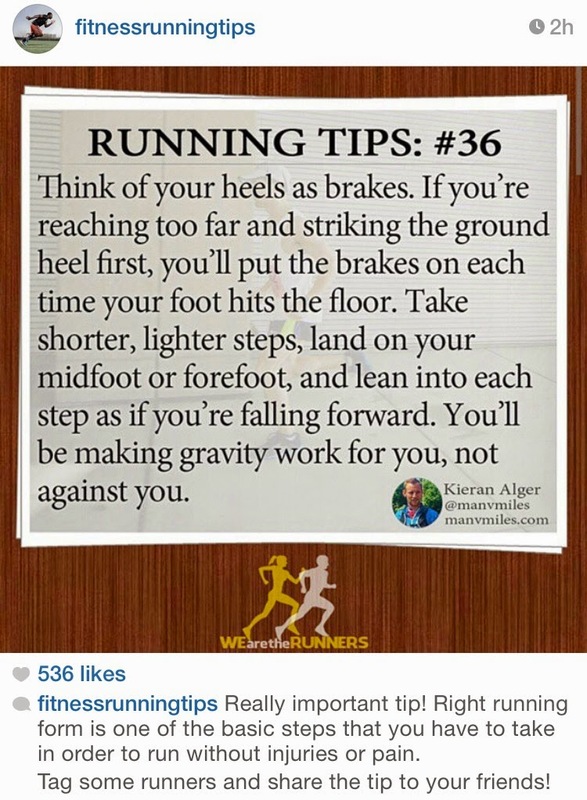 All of my running friends have better form that I do, so really I just shared this for myself on IG (and now I'm sharing it with all of you... but you probably knew this tip already). So the lesson here is "don't slam on the brakes" when I run. I know I'm already a pro at taking shorts steps because my stride length isn't very long, but I still have a very heavy foot fall, I still heel strike, and I don't lean forward that much when I run. However, there is a silver lining since I have my Chi Running class starting next week. Hopefully I will get more great tips there. And even if I don't have the world's greatest running form after the class (stop laughing, it could happen!) 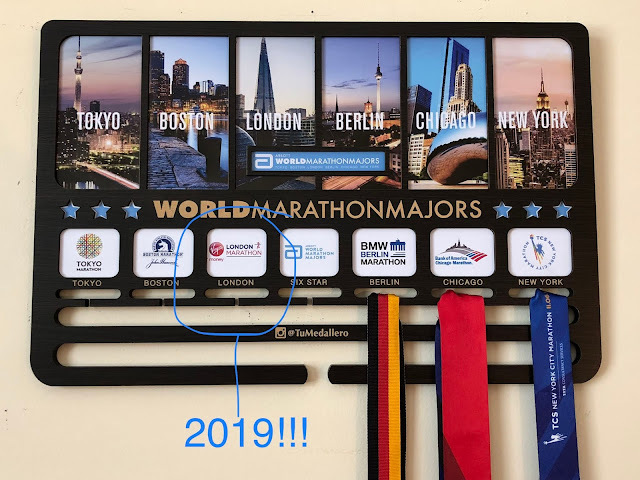 I hope to at least be able to minimize the impact on my knees and hips over the miles I plan on running this year (and every year). I'm taking this whole injury-prevention thing seriously. My work schedule is changing a bit this week so I'm scheduled to run tomorrow morning, but at the very latest tomorrow evening. And sadly, training for the rest of the week (except Sunday's long run) is less structured at the moment because the demands on my time early in the morning will be increasing and my work days are likely to be long and run late. Luckily, I should still be able to get some cross training done even if I won't be able to run (something is better than nothing right?). How often do you do yoga for cross training? What are some of the best injury prevention tips you've heard over the years? I would like to go 2-3 per week, but I only make it about 4 times a month. The biggest injury prevention tip that I have heard in regards to running is to stretch and foam roll on a regular basis. 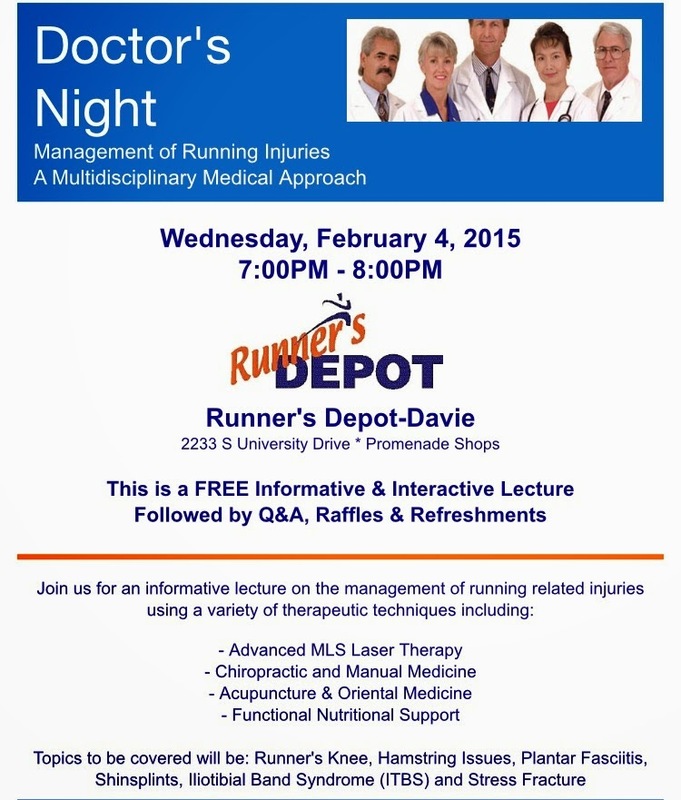 That Runner's Depot sound like it would be so much fun! Yeah I'm a big fan of stretching and foam rolling. I really think it has helped me. 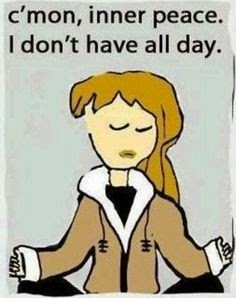 I hope you get to go to yoga more often soon. I normally watch and follow videos at home and I took a private class once. One day I will take an official class at the gym or at a yoga studio.